Laura and David are quite the international couple. She's Finnish and he's British and they've both traveled around the world together. They currently live in Ho Chi Minh, Vietnam where they moved for David's work. When they decided to get married, they figured why not go some place completely different which also happens to have one of the prettiest city halls to elope! 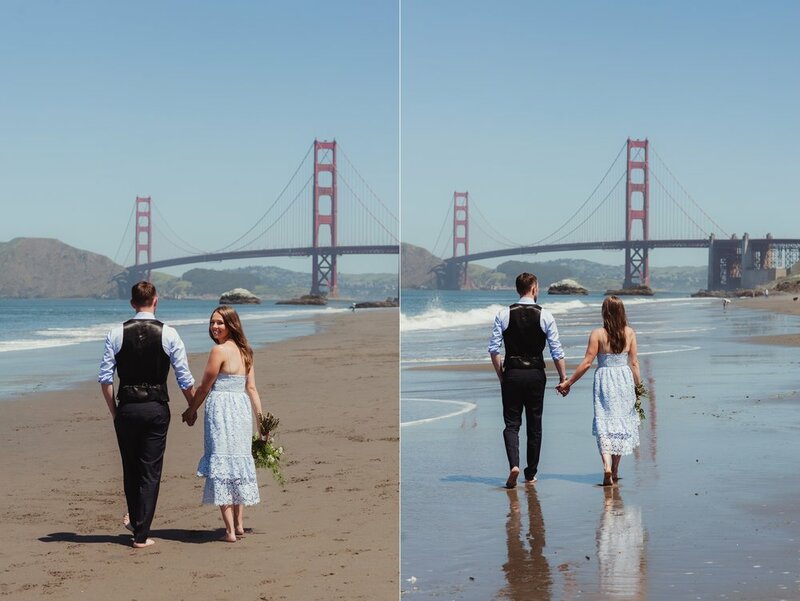 After their ceremony, we wandered around Hayes Valley and Baker Beach for some San Francisco-centric portraits.